Contrary to its name, there ain’t nothin green about this drink. The Green Glacier has been floating around the internet since Jamie Boudreau published it on his website in 2008. Inspired by the flavors of the comforting verte chaud, Boudreau created a richly potent drink that enabled him to “enjoy chocolate and Chartreuse all year long without even a sideways glance from the most discerning cocktail drinker.” Indeed the drink’s classic stirred amber glow dresses up delicious warm winter flavors, for a potently rich nocturnal drink that’s respectable enough for year round consumption. 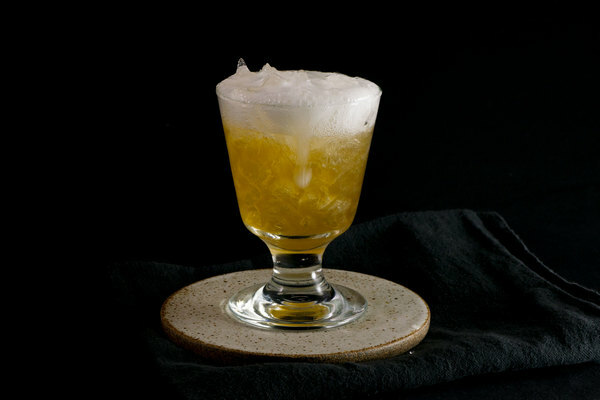 The green glacier places chartreuse and creme de cacao on a rich base of brandy and accents it with bitters. The nose is full of orange and chocolate, with a quick whiff of chartreuse that hangs around on first sip alongside brandy, followed by a finish of creme de cacao and botanical heat. 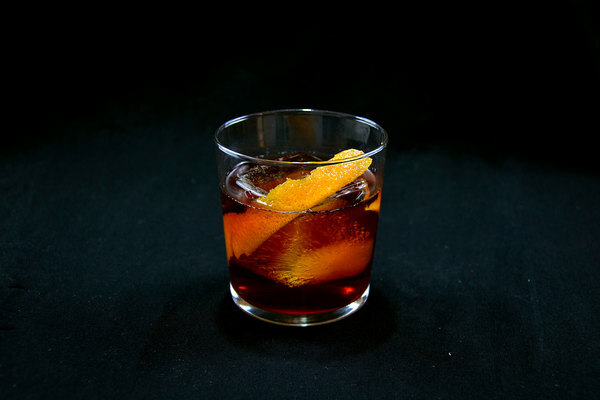 The result is sweet yet boozey, rich yet nutty, and chocolatey from brandy and creme de cacao. 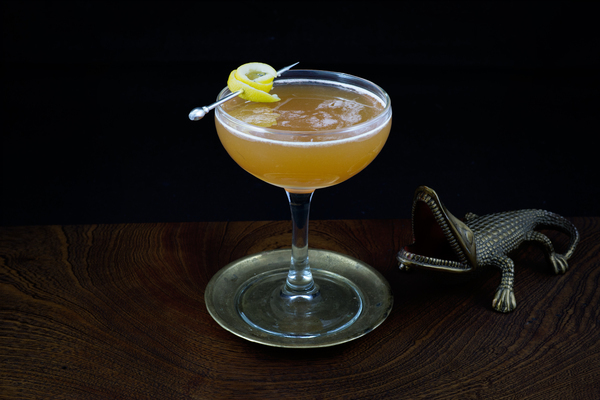 It reminds us of the Widow’s Kiss or even our Burl Ives cocktail with its spirit forward approach and strong chartreuse flavors. Green Chartreuse is a must here; otherwise any color claims in the drink's title are moot. Be sure to use a good creme de cacao; the only creme de cacao that graces our bar with regularity is Tempus Fugit. We like a nice nutty cognac, such as Pierre Ferrand, in place of brandy, but some may result in an overly sweet drink, so make sure to try it first. 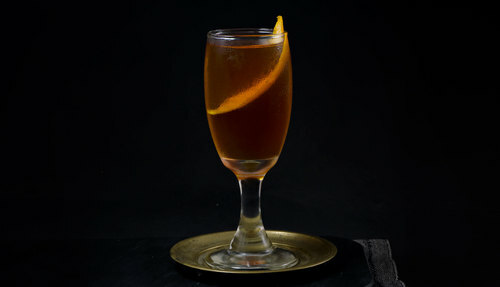 If you are feeling sassy, you could certainly play around with the bitters: chocolate or orange would be complementary and amp up the confectionary flavors, but this drink could handle an assortment of ideas.